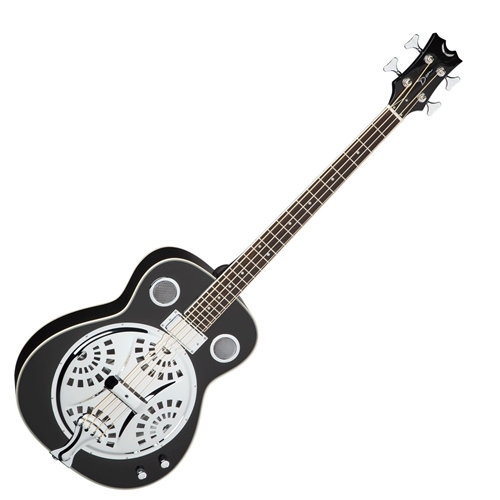 The Dean Resonator bass is an incredible instrument with low-end classic resonator sound! This bass is sure to be a favorite, providing distinct sound with will give you a signature sound in the studio and on stage. The DMT Design humbucker provides great, full sound when plugged in. Crafted with a mahogany body, mahogany neck, and a black walnut fingerboard.